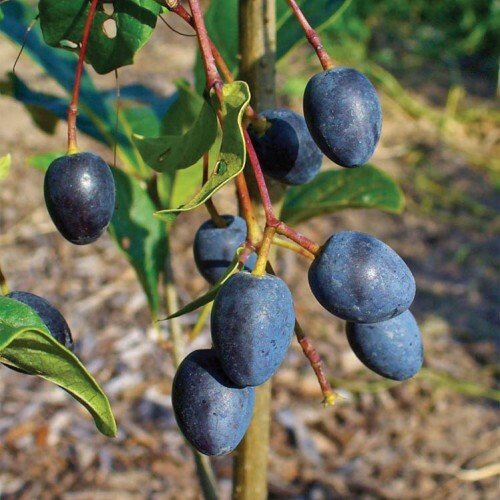 This fruiting plant is one few olive family members indigenous to North America. 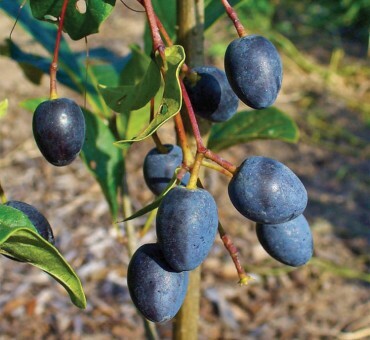 Despite its large pit and little meat, early settlers pickled the fruits of this plant when available. It was found mostly along stream banks. Known mostly for its fragrant white blossoms in spring this eastern plant is often found in woodland environments. We offer dioecious unsexed seedlings. Takes 4-6 years to flower from seed. Has been one of the most unusual display of fruits and makes people think olives. Totally hardy in southern Michigan and has potential for fruit selection. Has never caught on as an ornamental plant but the fruit yields are quite heavy. The glossy foliage is quite clean and free of insect and diseases. Will need a group of 4-5 to make sure to get fruit. Male and female on separate plants. Super adaptable almost any soil. Tops at Zone 5 but grows into zone9. Anyone can grow it. Can grow in light shade. Not for mountainous dry climates.